CAR is a 3 letter word, synonym with dreams, aspirations, style, and even statement of an individual. Your car is not a vehicle it is an extension of your personality. No wonder Car companies spend millions of dollars, pounds, Yens and now rupees to find that sweet spot which will appeal to people and make them buy their dream car. This weekend I was in balmy Goa, to participate in the launch of Zica the latest pretty little car with big aspirations from Tata Motors. 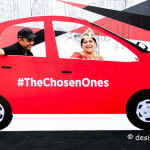 The launch event organized by Tata Motors and coordinated with bloggers by Indiblogger. There were 60 bloggers from all over India from cities like Delhi, Jaipur, Mumbai, Kolkata, Bhubaneswar, and Bangalore and not to forget Shrinidhi Hande, who made it to the Zica launch even after he got stuck in Chennai Floods. And what a motley group of bloggers it was we had Tech bloggers, Fashion Bloggers, food bloggers, Lifestyle bloggers, automobile bloggers, movie bloggers, and even a few travel bloggers like yours truly. As I arrived in Goa by an early morning flight, we were greeted by the super efficient Wizcraft team who were waiting for us. Soon we were cocooned in the bus to our hotel Alila Diwa in South Goa. My eyes were searching for the Zica in the resort but the Tata Motors team had decided to tease us some more and we were encouraged to rest for some time. Around 3:45 pm we went to the beach and I actually thought that the Zica would be unveiled on the beach. But no such luck, though we had some great time on the sunny beach. Only once we were back to the hotel that I saw an Orange Sunburst Zica parked in the hotel compound. 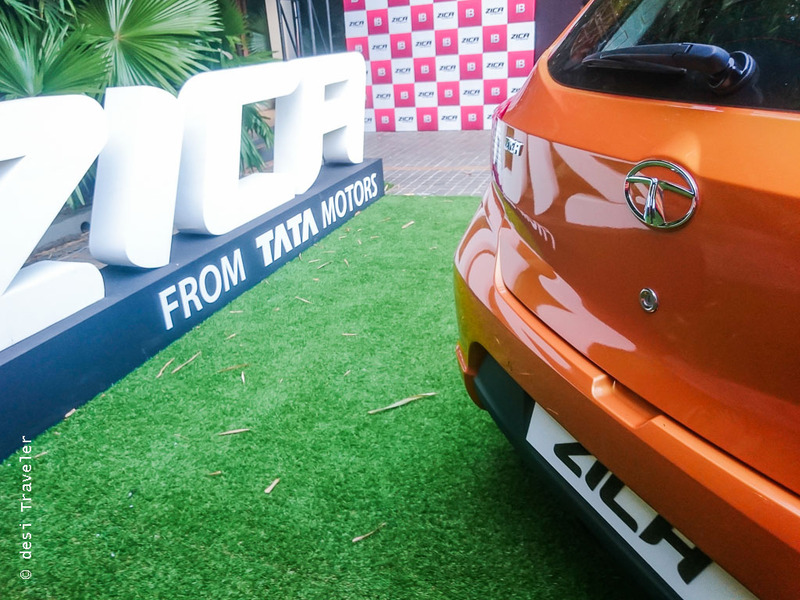 Needless to say we jumped at the opportunity to click pictures of the Zica, but the official unveiling of Zica was still some time away. All the bloggers were invited to a specially made hall in the hotel, where on the wall hung T-shirts with those magical words: Messi and number 10, the name and the T-shirt number of Lionel Messi, the global brand ambassador of Tata Motors. But the sweet part that I noticed later was that above each T-shirt was the name of each of us bloggers, and our T-Shirt and some goodies from Tata Motors were kept in each individual cupboard for all of us. I loved this gesture from Tata Motors, of such personalized attention to detail for each blogger. But it seems this is in the genes of Tata Motors as we saw later in the presentation about the Zica. 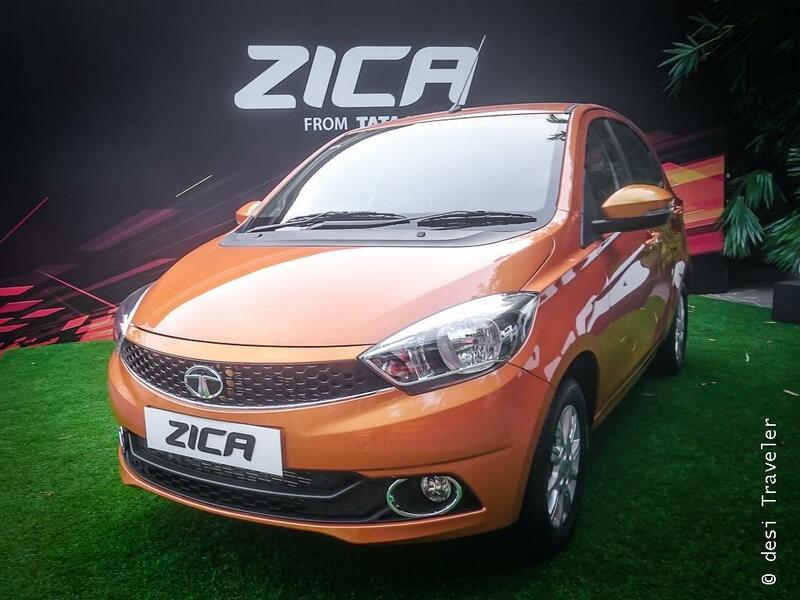 Let me first make one clarification to avoid any confusion::: Zica is not Indica, Zica is a different car, in a different segment and has been developed by Tata Motors from scratch both in design and engineering. As Tata Motors is a global company making cars in many countries and marketing cars in more countries than I can find them on map, it is a great branding move to get a global brand ambassador who has great charisma and brand pull across the globe and not just in India. 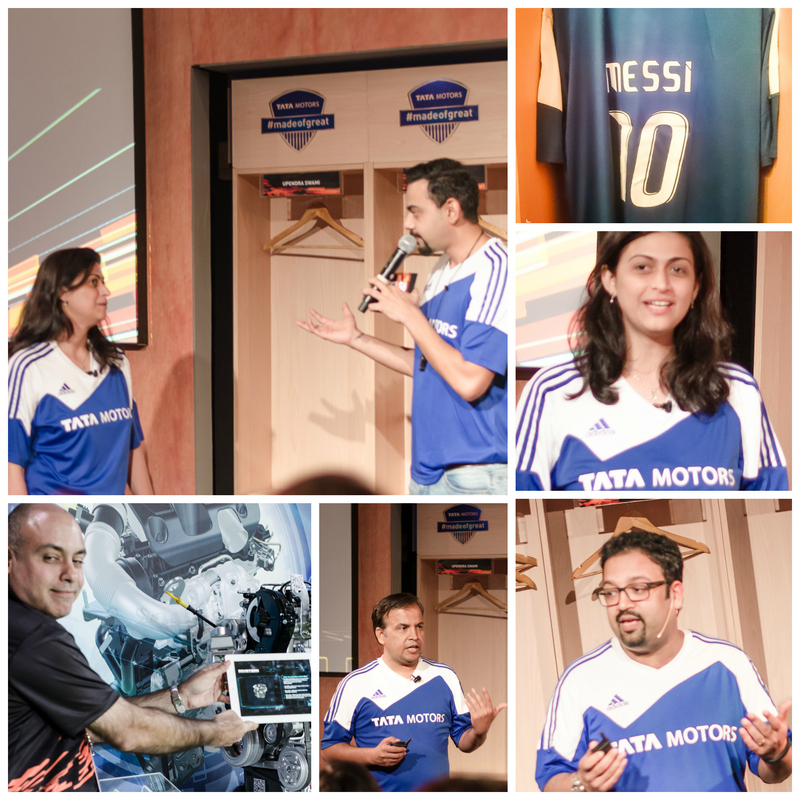 Kudos to Ms. Avari and the Branding team of Tata Motors for getting Messi to sign up as global brand ambassador. 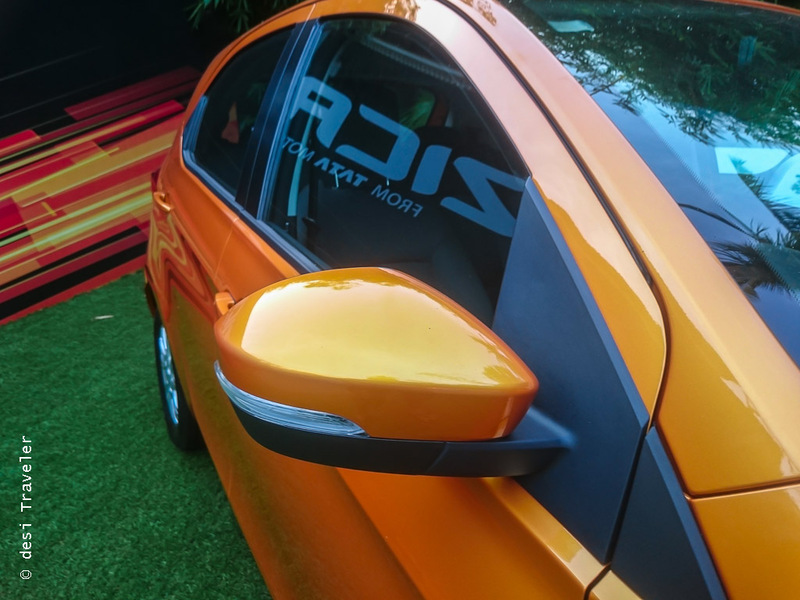 Now it was time for us to get awed by the journey of Zica from an idea to the car that we were to see unveiled in front of our eyes. For us the end consumer of a product what matters is the end result, rarely do we get a glimpse of how the product was made. I shared some of those insights in my post about visit to the Nano plant in Sanand, but that was the plant where finished products are made. A car starts her journey (did you notice we guys like to consider cars as feminine?) much earlier, as just an idea, that is hammered and brainstormed over countless cups of coffee and discussion. Then the visual artists come with some sketches. Another round of debates and endless coffee cups follow and the chosen designs are given to engineering that take over and make first small clay models, then life size clay models are created. 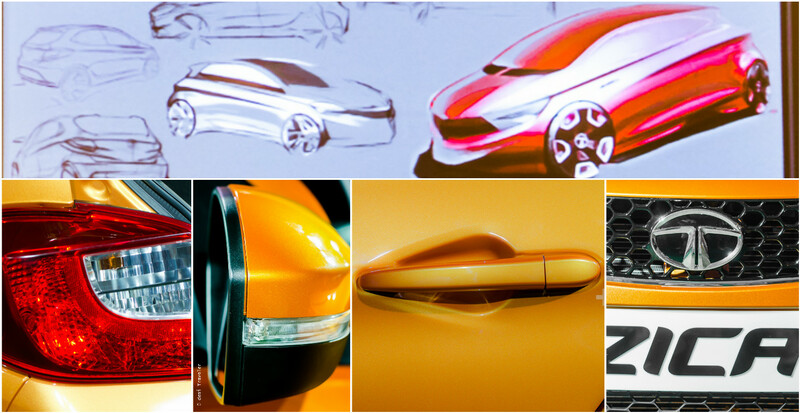 This and a lot more about the journey of Zica was shared by head of design of Tata Motors Mr. Pratap Bose. Later when I was interacting with him about some of the design elements of the Zica, I learned how each and every line, curve, light, handle, door etc. is not only scrutinized for aesthetics and design, but also it should add engineering value to the car. Each design element should be functional, lead to robustness and or help in reducing the fuel consumption by increasing aerodynamics of the car. In the session on engineering we learned about the development of the 2 engines that the Zica will sport in its Diesel and Petrol Avatars. The Tata Zica diesel is powered by a new 1.05-liter Revotorq three-cylinder common rail diesel engine with Multi Drive. The aluminum head on cast iron block unit displaces 1,047 cc develops 70 PS at 4,000 rpm and 140 Nm of torque between 1,800-3,000 rpm. 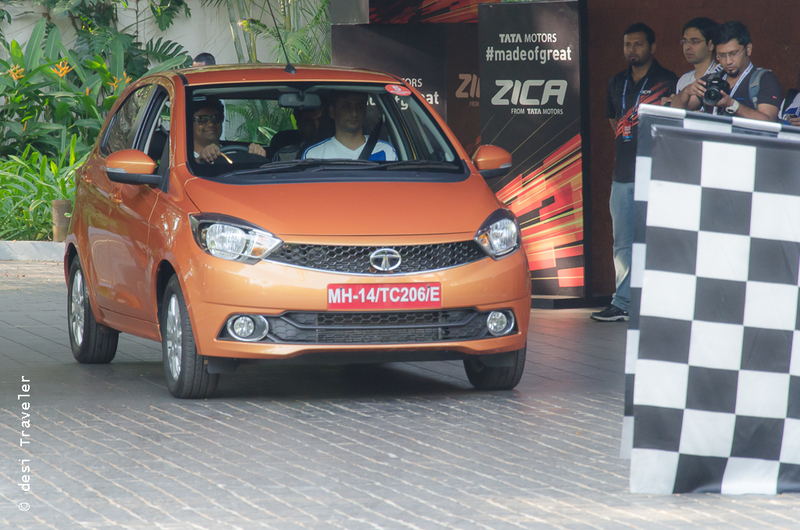 The kerb weight of the Tata Zica diesel is rated at 1,080 kg. Tata highlights the ‘City’ and ‘Eco’ driving modes on the diesel engine, its “seamless torque delivery” and low maintenance cost. Coming to the petrol variant, the Tata Zica petrol is powered by an all-new three-cylinder 1.2-liter Revotron engine with MPFI and Multi Drive. The aluminum engine which displaces 1,199 cc churns 85 PS at 6,000 rpm and 114 Nm of torque at 3,500 rpm. The Tata Zica petrol weighs 1,012 kg. After the presentations, it was time for some fun and Tata Motors hosted a dinner for all the bloggers at the resort. But for some of us the real party started once the official party was over. More on that in some future blog post let me keep this post about the Zica. 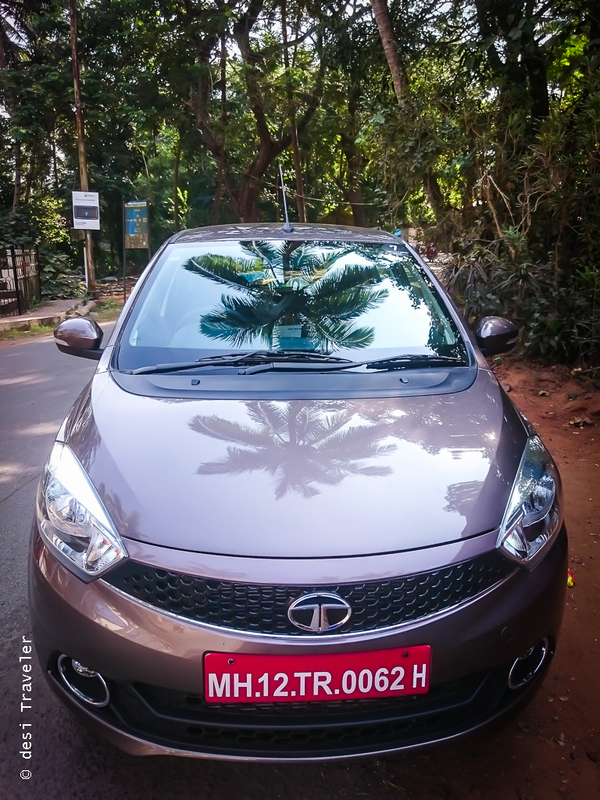 Finally the morning arrived when we were to drive Zica, the zippy new car from Tata Motors. We were divided into various teams and each team had a driver, and two other participants. In our team I was the designated driver as both the ladies in my team Heena Dhedhi and Shifa Merchant were not comfortable driving a stick shift and drive automatics. 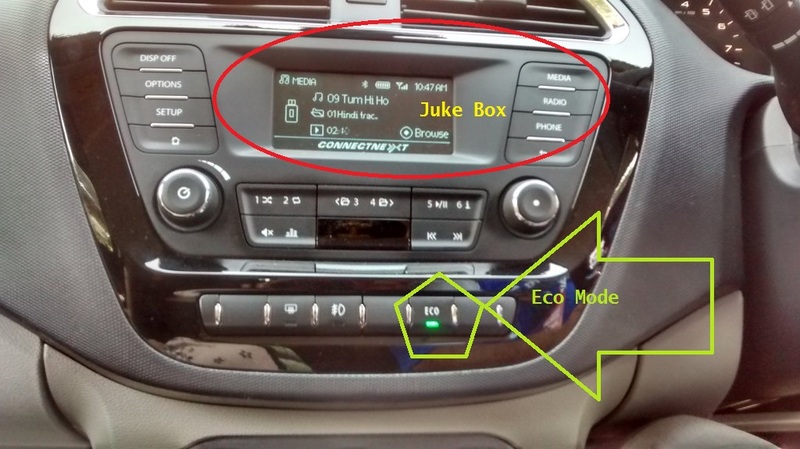 (Tata Motors folks – I hope you are reading this and are planning on an automatic variant ). Members of Tata Motors team explained to us about the features, buttons and other Zing Bang in the car before we were flagged off. The Zica sure is a loaded car there are many places to keep your cold drinks and chocolates cool to nooks and crannies to hold bottles to a boot that can carry your stuff or you can use it to stuff your cousins on that weekend paint the town trip. I think my memory can no longer remember other features of Zica but these are more of less either segment first or in a class of its own. I am not comparing the Zica with any car in similar segment here because I think Zica has the capability and the pedigree to make a space for itself in the market. 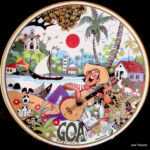 Let us now go for the drive in Zica on the winding roads of South Goa, lined by tall coconut trees. Our route map was fed in to the synced phone but we were able to use it only at the end of the drive as I was busy driving and the girls in the car were too busy responding to the challenges thrown to the teams. 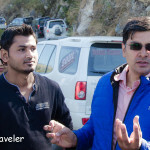 What I mean by challenges is that the Indiblogger and Tata Motors team was tweeting some interesting challenges and the teams were supposed to meet these challenges. And so on. While initially we were enjoying these challenges, soon they became a distraction from the drive and our team unanimously decided to go slow on them and focus on the joy of driving a brand new car. 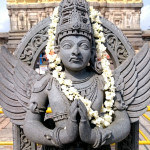 Unfortunately Heena was not feeling well and once we have completed the drive we decided to head back to the hotel. As we headed to the hotel the other teams stayed back to click pictures of the Zica, hence in this post you will find only a few pictures of Zica. While driving the Zica I got to drive the Diesel version and I was impressed by the responsiveness I got at both slow and higher speeds. The roads in Goa are winding and not to wide, I rarely went above 90 KM per hour but got to test the brakes, and responsiveness of the steering wheel of the car. The power steering is very responsive at both low as well as higher speeds and gets steady automatically at higher speeds to give you extra stability and firmness. The Zica has two drive modes – City and Eco, the City is the default mode to give you that zippy performance in the city, but you can switch to Eco by just a press of a single button when you want to save fuel. The Harman Sound System is state of art and takes your driving pleasure to the next level and keeping families in mind it is not just the driver who can control it but like a jukebox anybody traveling in the car with a synced phone can play songs of their choice. And when that call from the Bank comes to buy a credit card or take gym membership the sound goes soft as you tell the tele-caller to put your number in Do not call list. Little joys of technology. Over all verdict on Zica: I think from a design and technology point of view Zica is a winner. The boldness of European style and Indian functionality has been carefully blended in the design and will sure turn heads. Once inside the car you have almost unlimited places to keep your stuff that has been carefully designed right from bottle holders to the strategically placed hand brake to make space for your coffee mug. We were not given any details of the price and the variants that Tata Motors plan to bring to the market. 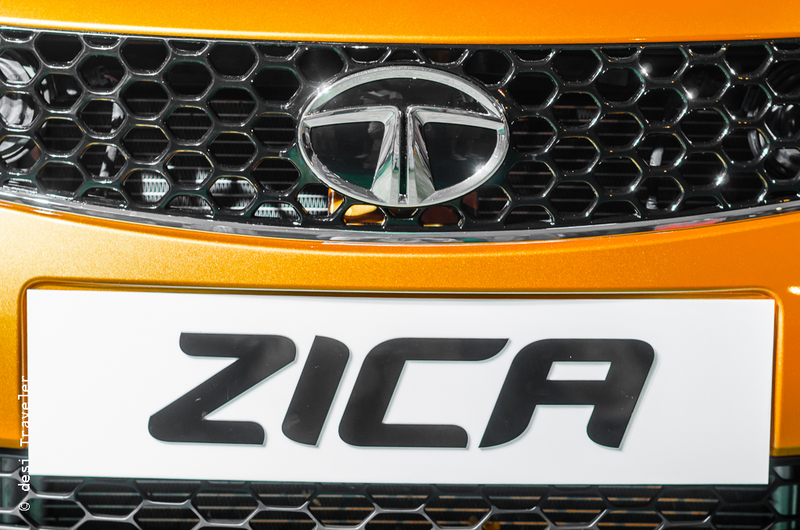 But I am sure if the price is kept competitive Zica is the car to watch for in 2016 for the design and engineering team of Tata Motors has a winner in their hand. 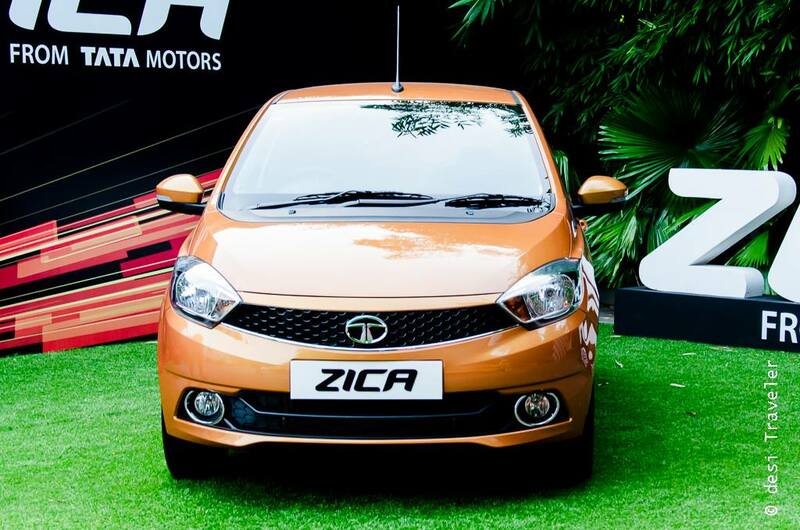 I am looking forward to the formal launch of the Zica, and may be will get to click some better pictures at that time. Thanks for the mention. 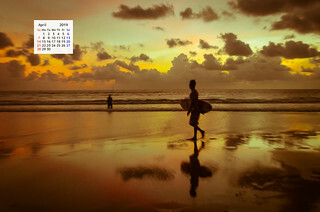 Some pics appear stretched in my screen. Excellent review. It was fun indeed! Fantastic detailed review Prasad sir. I agree to everything you said about the car here. Now all eyes on how TATA sets the pricing.